If you have a friend who is all about their fitness, you have probably heard about HIIT, or high-intensity interval training. This isn’t a casual run through the park, or lifting weights at your own pace. This is an all in workout, meant to get you to push yourself to your limits for a short period of time. HIIT workouts get your heart rate up and keeps it up, allowing you to burn more fat and spend less time doing it. In a HIIT workout, you will go through bursts. Some of these bursts are intense and get your pushing yourself as hard as possible, then you will go through periods of activity that are less intense and allow you to rest a little. 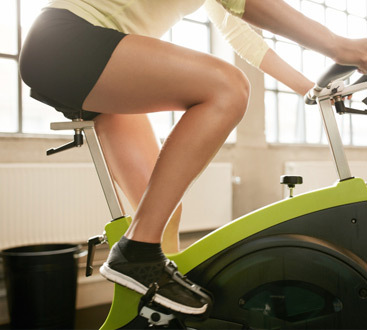 These intervals are used to help you stay active, get your heart rate up, and burn fat! An example of a HIIT workout would be a mix of walking and running. Sprint at your fastest for a minute, and then walk or jog for two minutes, repeat this a few times for a lengthy and effective workout. Many of our group fitness classes at BodyPlex, incorporate HIIT for a workout the gives you the feeling that you pushed yourself to your limits, which is a great feeling. Why is HIIT becoming so popular? They can be modified so anyone, no matter their fitness level, can do them. They offer similar benefits to continuous workouts, but in a shorter period of time. They can be done with any form of exercise—walking, cycling, swimming, group fitness classes, jump roping, and so much more. HIIT workouts require no equipment. They can be done anywhere. There are many reasons why these workout have become so popular over the years. They may be tough, but the short amount of time doing them makes up for that. But just because something’s popular doesn’t mean it actually works, just think about half the diets that faded in and out of popularity. But HIIT is different. 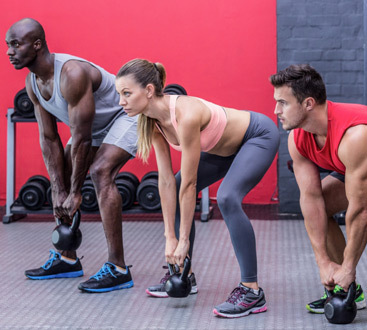 HIIT workouts are meant to work, and they gained popularity because people noticed a difference in their weight, fitness level, and strength. These are only a few of the benefits noted, but they are benefits enough to show why HIIT is becoming so popular. What makes HIIT more beneficial and effective than other workout types? HIIT, since it uses high-intensity intervals mixed with intervals that allow you a rest a bit, helps increase your metabolism. This in turn will help you burn more fat quicker. 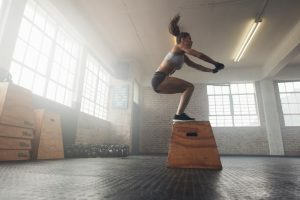 In an article from Shape.com, it is stated that HIIT is more effective than other workout types, giving the example that a 15 minute interval training (done three times a week) is more effective than jogging on a treadmill for an hour. This not only means that you spend less time each day on your workouts, but you also get in shape quicker and improve your overall fitness. Many people say that they do not workout because they don’t have time—between work, family, and all of the other responsibilities in our daily lives, it is hard to find time to workout. But when you only have half an hour, a HIIT workout can skyrocket your heart rate in no time. Workout out and not feeling like you really got anything out of it is a defeating feeling, but with the HIIT workouts, a 30 minute workout suddenly becomes enough to make you sore the next day. You don’t need to go to the gym. It’s true, you don’t need to go anywhere special to do a great HIIT workout. You can be in your room, outside, in the kitchen, in your office, or anywhere else you can think of. You need no equipment to complete a well designed HIIT workout, you can do it wherever, and you can do it for only 15 minutes and still get a good workout. But, if you are the type who needs to workout with other people around to stay on track, or you gain motivation when surrounded by other people working hard, BodyPlex Fitness is the place to go. We offer a bunch of group fitness classes that are fun, effective, and incorporate HIIT. That means you can get the best workout, from the best trainers, surrounded by the best people, trying to achieve the same goals as you! A lot of people don’t like doing cardio because they are afraid it will slim down their muscles. But cardio is an important part of fitness too. With HIIT workouts you can slim down areas like your stomach and keep muscle everywhere else. Burn fat, keep muscle—best of both worlds. HIIT workouts have really started helping people reach the fitness level they have always worked hard for. This workout type has given people with no time an effective workout in no time at all. There are many reasons why people choose HIIT. At BodyPlex Fitness, we offer fun and challenging classes that incorporate HIIT workouts for the best and more effective workout. Learn more today by checking out our class comparisons and contact us today!